Jayathma Wickramanayake was appointed as the UN Secretary-General’s Envoy on Youth in June 2017 at the age of 26. In this role, she works to expand the UN’s youth engagement and advocacy efforts across all four pillars of work – sustainable development, human rights, peace and security and humanitarian action – and serves as a representative of and advisor to the Secretary-General. Prior to taking up her post, she was instrumental in creating the movement for civic and political engagement of young people, especially young women in Sri Lanka named “Hashtag Generation”. 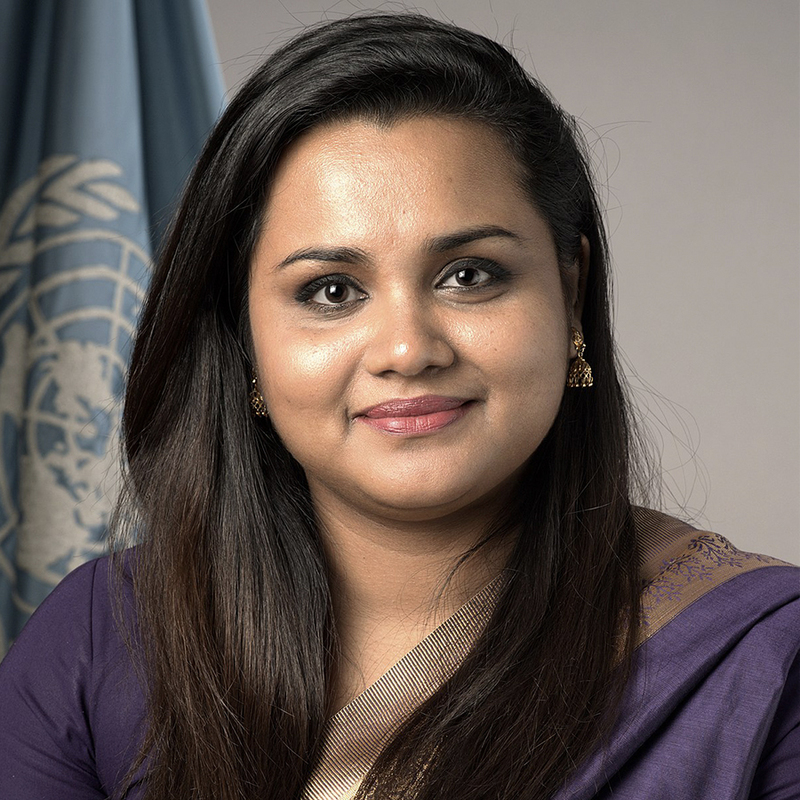 Previously, she advocated for global youth development on an international level including as the first ever Sri Lankan Youth Delegate to the United Nations and as the youth lead negotiator and member of the International Youth Task Force of the World Conference on Youth 2014 where she played a critical role in the establishment of World Youth Skills Day.